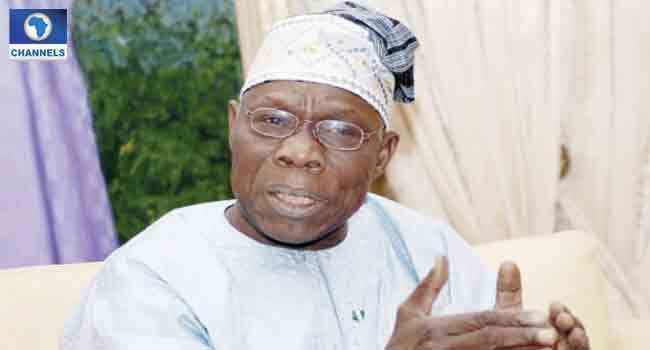 Former President Olusegun Obasanjo on Tuesday, in a 13-page statement, blasted President Muhammadu Buhari and advised him not to seek re-election in 2019. In the special press statement titled, “The Way Out: A Clarion Call for Coalition for Nigeria Movement” Obasanjo said Buhari has performed far below expectation and should honourably join the league of the country’s former leaders. He said Buhari should not toy with the patience of Nigerians but should in a dignified way dismount from the horse (seat of power). “We all thanked God for President Buhari for coming back reasonably hale and hearty and progressing well in his recovery. But whatever may be the state of President Buhari’s health today, he should neither over-push his luck nor over-tax the patience and tolerance of Nigerians for him, no matter what his self-serving, so-called advisers, who would claim that they love him more than God loves him and that without him, there would be no Nigeria say. Explaining why he thinks President Buhari needs time to reflect and refurbish physically, the former President said the Buhari he knew is weak in the knowledge and understanding of the economy and it is evident in his administration as the economy does not obey a military order. “I knew President Buhari before he became President and said that he is weak in the knowledge and understanding of the economy but I thought that he could make use of good Nigerians in that area that could help. Although, I know that you cannot give what you don’t have and that economy does not obey the military order. You have to give it what it takes in the short-, medium- and long-term. While he applauded Buhari for the effort of his administration in curbing the Boko Haram insurgency and his fight against corruption, Obasanjo scored the president low in his reaction towards herdsmen crisis rocking the nation. “The herdsmen/crop farmers issue is being wittingly or unwittingly allowed to turn sour and messy. It is no credit to the Federal Government that the herdsmen rampage continues with careless abandon and without finding an effective solution to it. And it is a sad symptom of insensitivity and callousness that some Governors, a day after 73 victims were being buried in a mass grave in Benue State without condolence, were jubilantly endorsing President Buhari for a second term! “The timing was most unfortunate. The issue of herdsmen/crop farmers dichotomy should not be left on the political platform of blame game; the Federal Government must take the lead in bringing about solution that protects life and properties of herdsmen and crop farmers alike and for them to live amicably in the same community.